If you’ve ever sat through a certification class where you’ve struggled to stay focused, then you know the importance of a great educator. Cosmetology schools across the country are always on the lookout for the most useful information to provide their students. While honest and worthwhile certification can be hard to find, we want to take a second to applaud the team who truly go above and beyond what a stylist ordinarily expects in class. 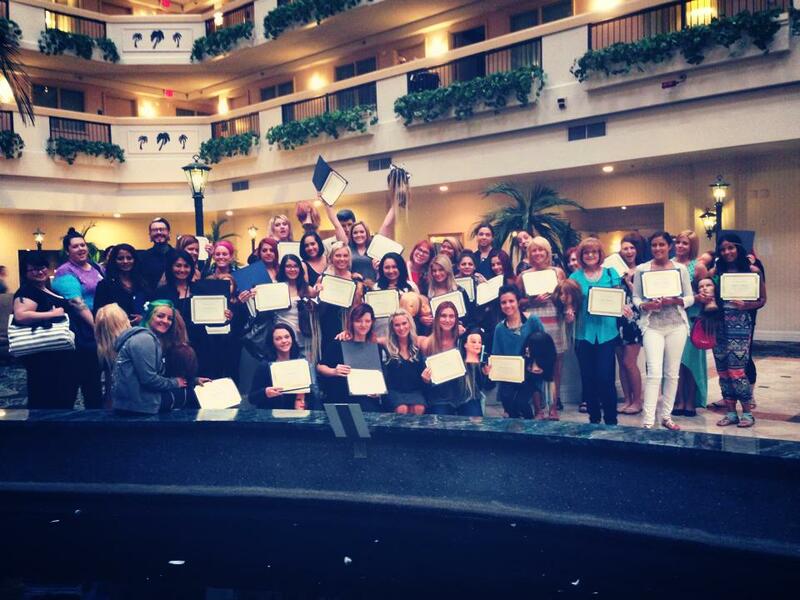 The incredible instructors at Allied Beauty Educators are the nationwide education team that provides thousands students a year the opportunity to learn hair extensions. Specializing in cosmetology school education and traveling coast to coast, Allied is a nonstop force that encourages stylists to step out of their comfort zones and experiment with different hair extension techniques. Allied uses Di Biase hair extensions to teach proper application techniques and instructs students on how to perfect their craft. With follow up classes, marketing techniques and individualized attention, Allied students can go out into the world confidently and with a passion for extensions that shines in their work. Allied Beauty Educators is the real deal. The hands on training program they have designed is born of real world experience and a passion for teaching and encouraging people. They strive to empower future stylists not only with practical skills but also self-confidence and enthusiasm. They have trained in some of the finest schools and academies in the Eastern U.S. and are building relationships coast to coast. We sat down with Maria Picard, head educator at Allied Beauty who helped us understand the company a bit better and everything that goes into a cosmetology school class. What is the history of the brand? After college was over and done, Maria saw the strong need for good education in the beauty industry! She constantly saw her friends and family receive poor hair extensions applications in their hair! She went right into beauty school, and graduated with a vision of changing the hair extension education in the cosmetology industry. What is your favorite part about teaching? Maria absolutely LOVES connecting on a deeper level with the students and stylists. She loves to see how happy they are to be advancing their cosmetology careers by taking he hair extension certification class. Their smiles puts a smile on her face! For someone interested in taking a class with Allied, what can they expect to get out of a class? You can expect to get the BEST education. This certification class is filled with hands on application, personal hair extension advice, and long term support from the Allied Beauty team! You will not leave the class lacking confidence! You will feel confident, and ready to do extensions! If you are interested in pursuing education with Allied Beauty, please contact them at the addresses below. WE PROMISE TO ALWAYS BE PUNCTUAL, COURTEOUS, AND RESPECTFUL OF YOU, YOUR STAFF, AND YOUR FACILITY. WE WILL ALWAYS DO OUR BEST TO ADD VALUE TO YOUR SCHOOL OR ACADEMY IN THE EYES OF YOUR STUDENTS SO THEY WILL REMEMBER THEIR DAYS WITH YOU IN THE BEST POSSIBLE WAY AND SPEAK HIGHLY OF THEIR EXPERIENCE WITH YOU. WE WANT YOU TO BE SO PLEASED WITH US THAT YOU WILL OFFER OUR TRAINING TO EVERY CLASS.